The loss of a tooth is often an unexpected and unfortunate event. Our Weyburn dental implants can help you by closing the spaces in your smile and making you feel great about your appearance. 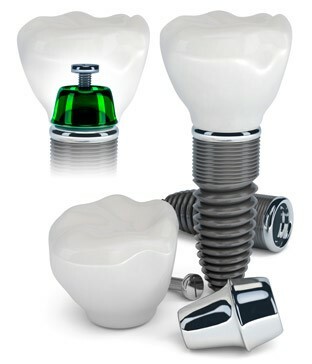 A titanium screw is placed where the root of your tooth used to be, where it acts as a new tooth root. An artificial tooth (crown) is then attached to the screw, giving you the look and functionality of a real tooth. Whether the tooth experienced natural root decay, damage from injury, or was removed for some other reason, we can permanently restore the function and appearance of your tooth with this amazing procedure and it can be done right here in our Weyburn office. Dr. Konotopetz is qualified to perform both the implant surgical phase and your final restoration and it can all be done right here in our Weyburn office. It doesn’t get any easier than that! You’ll have a natural looking tooth and no one will be able to tell the difference! Don’t wait, book your consultation today and find out how Weyburn dental implants can positively change your smile!